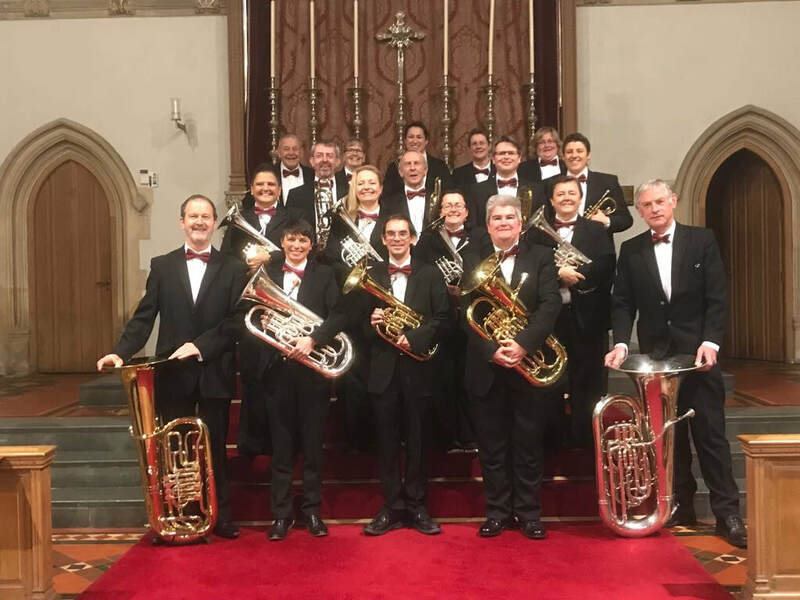 Barry Brass Band was formed on Friday 16th January 1998 by a group of like-minded musicians who wanted to provide music at events who would not normally be able to afford the cost of hiring a band. In the following years we have built a reputation of providing high quality music at events in and around Barry and beyond, returning year after year to some venues. The players and supporters of the band are very much part of our "band family" and this in turn helps to create the very special "Barry Brass Sound" that is often commented on by our audiences. The band prides itself on its friendly atmosphere, flexibility, enthusiasm and ability to deliver consistently high quality performances, all without the aid of a conductor! The band relies entirely on donations of whatever the hiring group feel they can spare. We are very adaptable and have provided musical entertainment for a suprise Wedding Anniversary party,birthday parties, garden parties, Park Band Stands, Tudor Music at an open air theatre, school and church fetes and at fund raising events for Ty Hafan Childrens Hospice and Holme Tower, four weddings and one funeral. Venues range from church yards and school fields to Cardiff Castle and Llandaff Cathedral. We are also honoured to provide the musical accompaniment for the Remembrance Service for the people of Barry in the Memorial Hall. We are able to offer a wide variety of music from traditional brass band music and marches, selections from popular shows and artists to the latest chart hits, as well as a wide range of traditional Christmas music and songs.